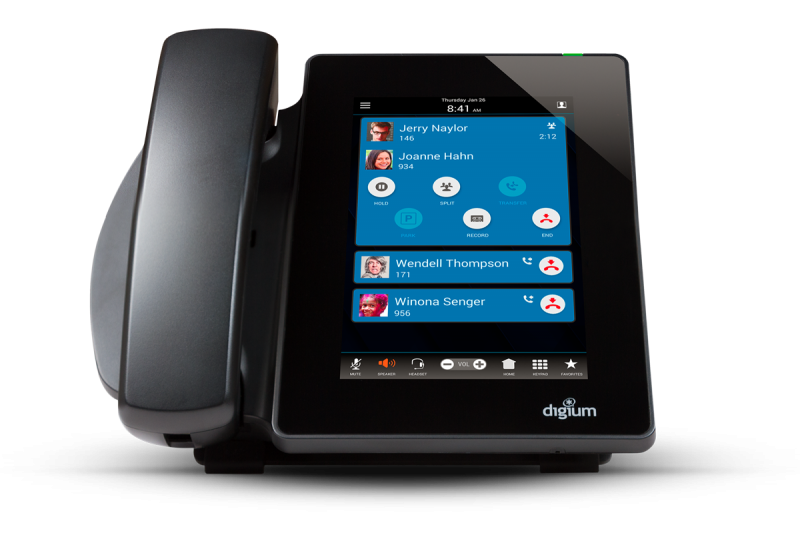 We are happy to report that Digium has a new addition to their IP Phone product line: the High Definition touchscreen IP Phone D80. 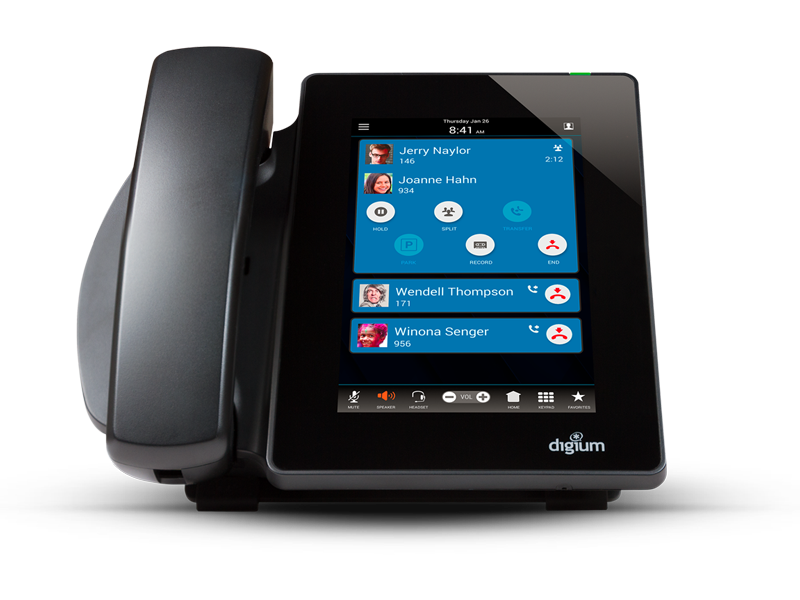 The Digium D80 phone features a large, 7-inch color HD touchscreen and a level of functionality that makes the phone ideal for day-to-day executive call handling. When you see a touchscreen phone, what is the first thing you ask? We’ve found many customers’ first question to be: how easy is it to access the keypad to dial out? On the D80, the keypad icon is always present on the main screen, making it extremely easy to locate, and it is visible on other screens as well to ensure you don’t have to go digging to make a call quickly and easily. 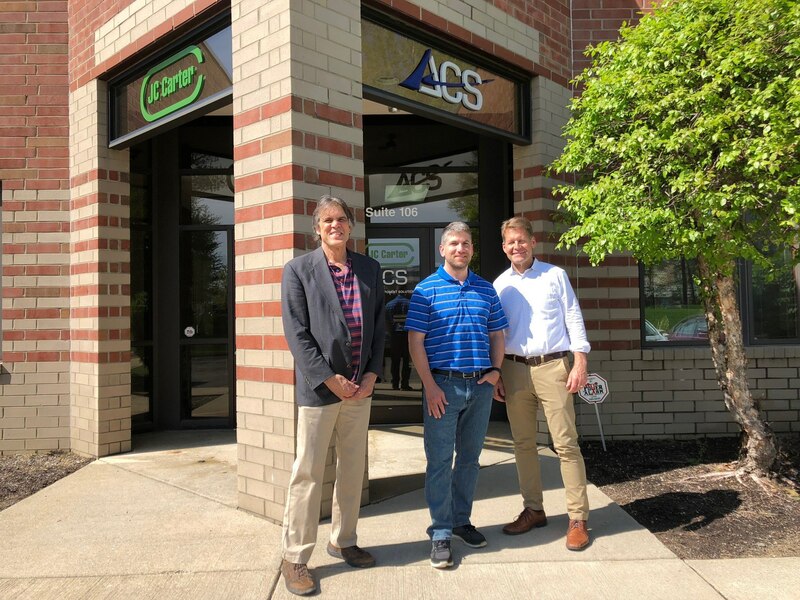 The phone provides touchscreen access to advanced phone applications like visual voicemail, visual call parking, intelligent contacts register, and a button to access your favorite contacts – with an additional option of adding contact photos and details to each. It also supports up to 100 Rapid Dial Keys, with Busy Lamp Fields (BLFs) and Status Indicators. The D80’s extraordinary capabilities include support for wide-band (HD) audio, electronic hook switch (EHS) for headsets, Built in Bluetooth, and a Gigabit ethernet port, making it the perfect addition to recently released Digium’s premium color-screen IP phones. The easy setting of the user presence is a huge benefit that this phone offers. Designed for the user with a refined taste, the D80 provides the advanced features required by even the most sophisticated businesses. The D80 offers full integration with Asterisk DPMA version 3.4 as well as Switchvox version 6.7 and has a MSRP of $329 USD. They are readily available! 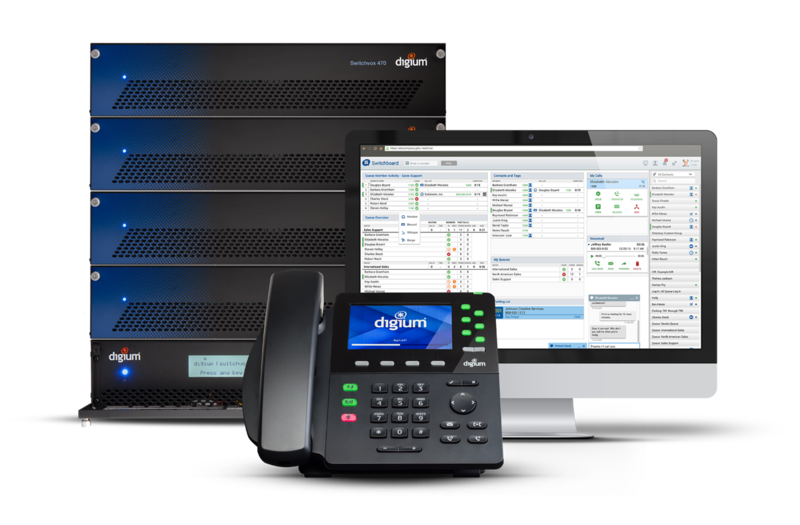 For more information about this Digium phone,� see the datasheet here. 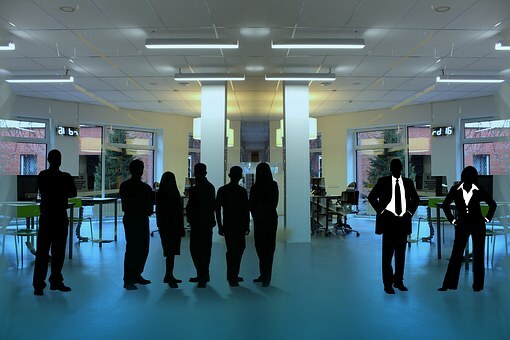 You can also view a video walk-through of the impressive D80 here:� Digium D80 IP Phone Highlights. 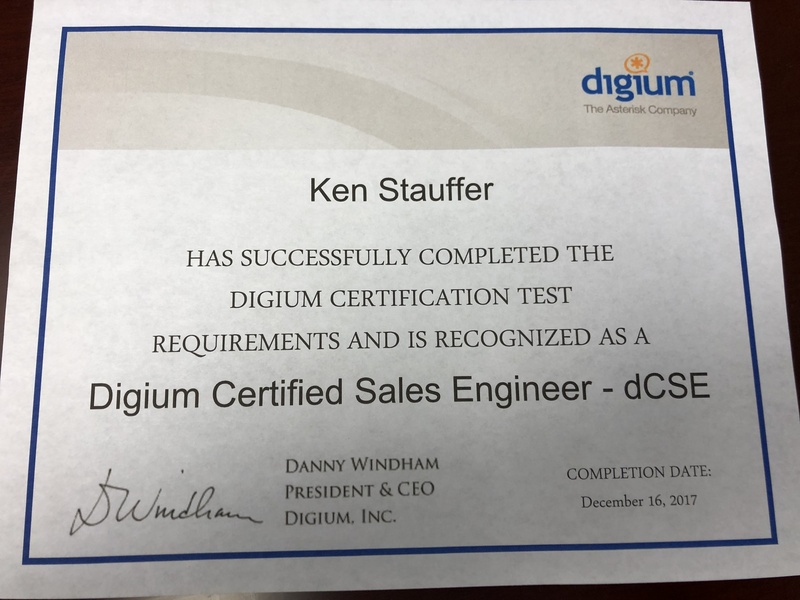 Previous StoryStauffer Technologies Achieves Digium Switchvox Titanium Certification.